What is Turmeric? What is the best Turmeric supplement? Is it helpful for stress management? Today stress is everywhere and it’s our job to do everything to protect us against it, because who can do it, if not us. We need a return to ancient wisdom, old remedies that our ancestors knew about and improve our health, sleep and well-being. It is a time to take care of ourselves mentally and physically. Mental and physical health is the first that you need to think about. Remember that if something improves your health, it also improves your ability to deal with stress and be more resistant. But in this case, it is not only that, because Turmeric is something special to fight a wide variety of conditions including chronic stress. What is it? How can it help? Turmeric is a flowering plant from Ginger family, and the roots are used in cooking. This plant is native to Southeast Asia and the Indian subcontinent. The roots of Turmeric can be turned to orange-yellow powder that can be used a coloring and flavoring agent in cooking. This powder has bitter, warm, flavor little bit similar to black pepper and mustard-like aroma. I don’t like black pepper, but I love Turmeric so if you aren’t a fan of black pepper, you still can enjoy Turmeric powder in your cooking. Turmeric is revered as a holy powder in India because it has been used in Ayurveda medicine for centuries to treat many conditions. 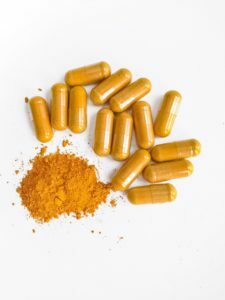 Although there isn’t high-quality clinical evidence for use of turmeric as a therapy, we can’t deny the fact that it helped people that past with many conditions and still people use Turmeric powder and Turmeric supplements for their well-being. It is believed that Turmeric can insert itself into cell membranes and make them more stable, and in this way, the resistance of infections is increased. Can Turmeric help you deal with stress somehow? Lately, I was thinking about the best ways to be more healthy and less stressed. If you are healthy and happy, you are less stress and more able to do great things which leads to more health, happiness, and less stress. Right? If you something great, you are happy and eventually, you do more great things in your life. It is the same with stress relief, stress management. Turmeric can become a great remedy for you that can help with your health, stress and other issues. Let’s see! We will concentrate on the benefits that are related to stress management. 1. Improve your mood. 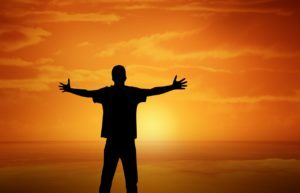 Believe it or not, but happiness is the best treatment from chronic stress. Being happy can help you with a lot of things, and curcumin has a powerful role in keeping your mood high. One study showed evidence for antidepressant actions of curcumin, and it showed to enhance brain chemicals which lifts your mood and let you experience both pleasure and pain. Positive thinking and emotions are important for your health, stress levels, and well-being. 2. Fights virus. I am sure you already know that chronic stress is killer, and it impacts your health in negatives ways with illness, disease, and virus. But there is something that can help if you already catch one, and I don’t talk about vitamin C or vitamin D.
Curcumin is great at fighting some super-viruses such as the potentially deadly Rift Valley Fever virus. Researchers found that curcumin stopped that virus from multiplying in infected cells. Amazing! Right? Who can believe that? Our ancestors knew, but nowadays we forgot ancient wisdom and simple remedies that sometimes are more powerful than drugs we use in today’s medical system. 3. Protects against sleep deprivation. Sleep is one of the best ways to reduce stress because you wake up in the morning as a completely different person who is free of stress. Usually, people don’t feel stressed when they sleep, but when they wake up and get on with their day – that is a different story. If you get enough sleep, your mind is clearer and your ability to manage stress is much higher than persons who have sleep deprivation. Curcumin can help you with sleep deprivation. 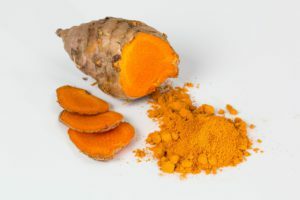 Researchers discovered that curcumin protected 72-hour sleep-deprived mice from the symptoms of deprivation and it prevented anxiety-like effects and oxidative stress. I believe there isn’t one answer to this question, because we all are different and our bodies have different reactions to the same supplement so we need to understand that. This is similar to diet. For example, many people eat meat, but there are people who are vegetarians or vegans, and that is their choice. They feel better when they stop eating meat. For me, it was the same, and I started to feel more energetic and freer. It is one of the best choices I ever did. What is the best supplement for you? You need to think about your preferences, likes, allergies. Are you vegan or vegetarian? Do you want to avoid Magnesium Stearate? Answer these questions and you will see. You can check all reviews of these supplements below, and almost everywhere you will read that the supplement has much higher curcuminoid level than regular Turmeric. The truth is that all the supplement that I talk about here have a great bioavailability and high curcuminoid levels. Here are great five Turmeric supplements from Amazon bestsellers list. Description: This high strength supplement contains LLS Curcumin 95 and Bioperine (Black Pepper Extract), and it is manufactured in the United Kingdom under GMP certification. Each capsule consists of 500 mg of active Curcumin 95 which is higher than in other brands and 5 mg of BioPerine. Description: This Turmeric supplement contains 95 % Curcumin extract. Turmeric capsules are enhanced with 15 mg of Black Pepper for highest potency, enhanced absorption, and bio-availability. Each capsule contains 1500 mg of Turmeric Curcumin. This supplement is formulated by doctors and manufactured in the United Kingdom under GMP guidelines. Description: The company claims that bioavailability of this Full Spectrum Curcumin Supplement is 185x better than other supplements. Poorly absorbed curcumin is transformed from fat-soluble to a water-soluble phytonutrient that is more absorbed by the body. Description: This high potency liquid Curcumin supplement is enriched with vitamin D. It is made in the European Union to current GMP standards. A 95 % Curcumin extract is derived from the native Turmeric root (Curcuma Longa) and as a powder encapsulated in microscopic micelles. 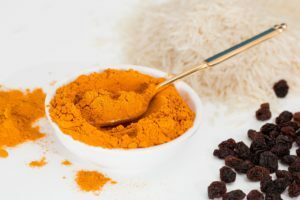 According to the information provided by the company, a published study showed that this supplement (NovaSOL Curcumin) is 185 times more bioavailable than native powdered Curcumin/Turmeric supplements. Description: The company claims that this supplement offers 285x greater bioavailability, 7x longer- lasting action and 65x higher peak plasma levels than standard curcumin, because it is made using a patented lipid delivery technology. This supplement is highly soluble and stable and provides free-form Curcumin (the active form, not glucuronidated or metabolized). Each capsule provides 500 mg of Curcumin. I am not sure if it’is true or not, but they claim that free Curcumin is the only form that reaches the brain and it is proved. Longvida technology provides a unique phospholipid and fatty acid coating of Curcumin molecule that enables it to be transported into the lymphatic system which is better for bioavailability. Turmeric is a great remedy for your health, stress levels, and well-being, but there isn’t a lot of scientific proof of its benefits and how it can impact your health. Before taking any kind of supplement, you need to consult with your doctor. What is the best Turmeric supplement for you? Did you use this kind of supplements before? What do you think about these Turmeric supplements? Let me know below! Are you looking for the best Turmeric supplement? CLICK HERE for more information.